Wow! Time flies so fast. The first half of 2015 is already finished. I was supposed to make a recap of the first half of the year but due to heavy loads and side-by-side deadlines at work, I ended up with the past month’s recap only. June is, of course, the start another school year. 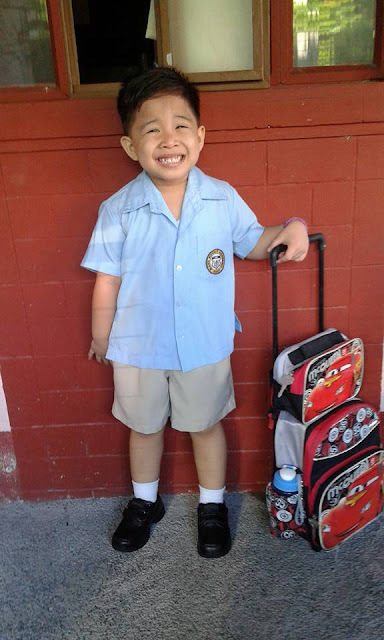 Now that Matthew is in Kinder 2, classes starts at 7 am. Waking him up this early is never a problem to us. He use to get up from bed as soon as we go downstairs kahit hindi pa sya nag-aaral. As practical parents, aside from school supplies, black shoes and one for PE class are the only things we bought for him. Bag and uniform is the same since these are still in good condition. Aside from school opening, June is also the birthday month for Matthew. 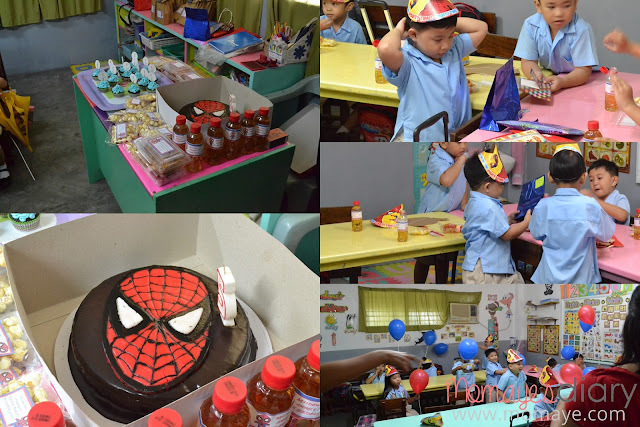 This year, he requested to have a small celebration in school. Wish granted. 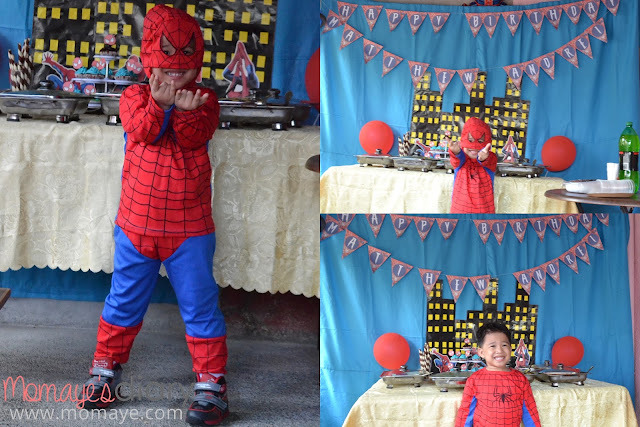 Still, we have a mini-Spiderman party for him at home. You can read all about it on Mommy’s blog. One of the Sundays in this month is dedicated to Daddies - Father's Day. We didn’t have any celebration. I just made lasagna, lemon cake and pizza for our dinner. Speaking of baking, I am proud to say that I am getting better, right Mommy? Moist chocolate cake and cupcakes for Matthew’s birthday, asado buns, lemon cake, some cookies and lots of pizzas are just few of the baking task I made this month. 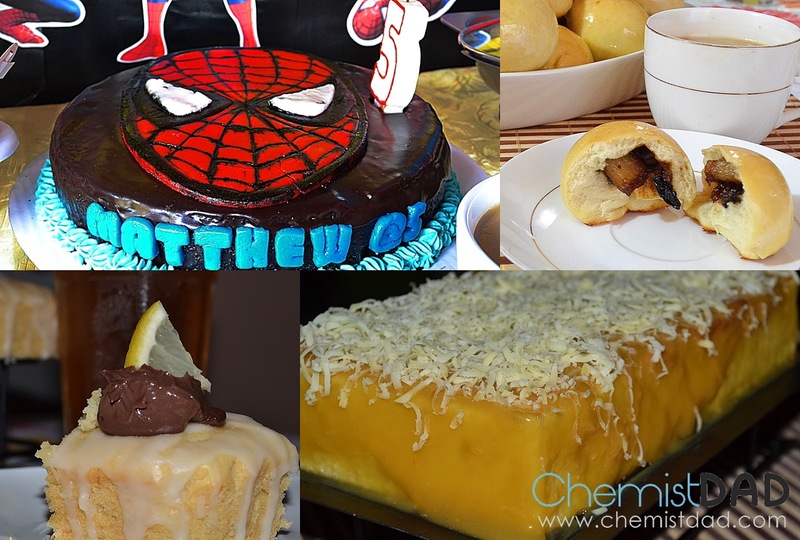 Recently, I made yema cake with chiffon cake base. Before the end of summer days, we had our yearly company outing at El Pescador, Bolinao, Pangasinan. According to saying, "Blessings comes when you least expect it." It is true. Our company gave us a 14th month pay without any announcements. We are also receiving bunch or orders in Momaye’s Shoppe and Momand Dad Crochet. Blogging opportunities are keep on coming too. With all of these, I am very thankful for the month that had passed. How about you, how was your June?